Help A School Library, Donate Books NOW! The majority of the books are from the 1950’s and 1960’s. Much of the information in these books use outdated terminology and often have negative stereotypes of women, African Americans, and hispanics. This is particularly bad since our student population is 75% African American and 25% hispanic. In addition, most of the library collection is above an 8th grade reading level. Last year only 8% of our school scored proficient for reading. Getting books at these students’ reading level is imperative in helping the students improve their reading comprehension in years to come. So how can you help out? No books in poor condition or above 9th grade reading level. Share this link with your friends and family. Help spread the word! All donations are fully tax deductible. You can read the official MacFarland Middle School Book Drive Letter for more information. 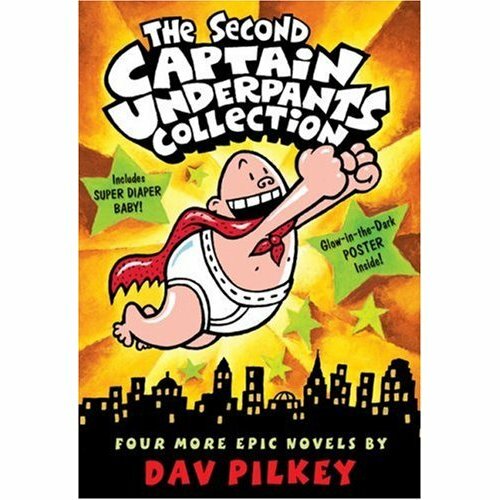 I’ve already bought all of the Captain Underpants books from their wishlist and you should pick a few books out that you really like to help the children at MacFarland Middle School. FullBleed, a web magazine published by the Art Directors Club of Metropolitan Washington, did an interview with me for their Fresh Face column. The aim is to showcase up and coming creative professionals and I feel honored to even be considered. It was a lot of fun to do and a big thanks goes out to Stephanie Hay, Corey Greeneltch, and Sean McCormick who took my photo. Go check it out! The New Car Conundrum: What Should I Get? My 1994 Mercury Villager mini-van has served me well over the years but it has to go according to the U.S. Government. Since it gets a measly 17 combined miles per gallon according to fueleconomy.gov, my van is a certified clunker and eligible for the Cash for Clunkers program. This means I can get $3,500 off a new car purchase that gets at least 4 more miles per gallon or a $4,500 discount for a car that gets at least 10 more miles per gallon. That’s a sweet deal considering the Kelley Blue Book trade-in value is at most $1,550. The thing is I don’t really need a new car. I get to work using public transportation leaving the van only for small errands. Once a year we will take it on a road trip to Ocean City but that’s about the extent of my driving. 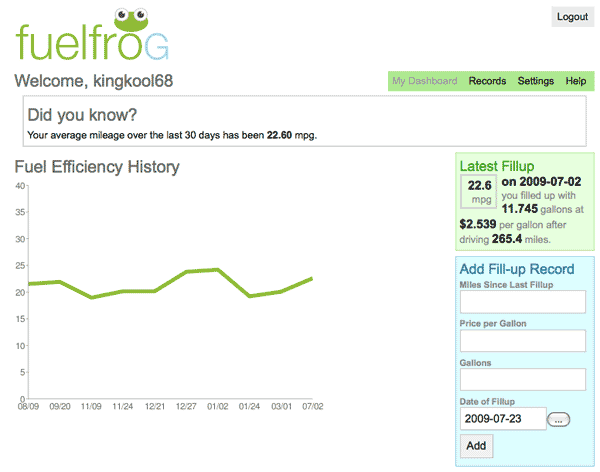 I fill it up maybe once a month and according to FuelFrog (my review) I’m getting about 22 miles per gallon. Because it has 130,000 miles on it, the tune-ups can be a bit costly about every other year. I have started noticing a high-pitched squeal whenever the accelerator is depressed and one of these days it will die. With this opportunity I decided to do a bit of research on Yahoo! Autos. I found 21 cars that fit my criteria including the 2010 Honda Insight, 2009 Honda Fit, and 2009 Honda Civic hybrid which all caught my eye. Kristina doesn’t like any of these because she already has a small sedan and strategically it would make sense to get another type of vehicle. I can agree with that, but bigger cars are more expensive. There is also the option of brokering a deal with my dad for his Toyota Rav-4 with 100,000 miles on it in exchange for a car with the discount. He was the one who bought the van 15 years ago and paid it off before handing it over to me but such a deal sounds complicated. I just feel a little weird about getting a new car and then having it sit at home for most of its early life. So this is where I seek advice from the wisdom of the interwebz. What should I do? 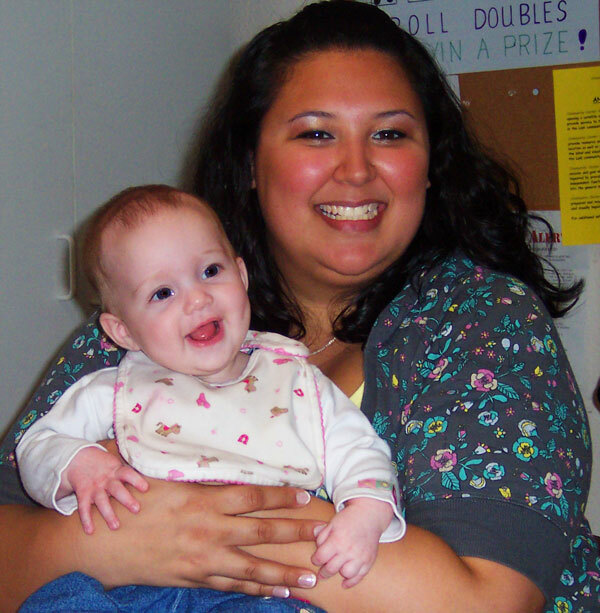 When Kristina and I went to California two weeks ago, we got to meet my new niece for the first time. One of the unique things about little Lacey is she was born with an extra toe on each foot, for a total of 12 little piggies. In the medical world this is called hexadactyly and is quite common. Lacey’s older sister was also born with 12 toes. Sometimes the extra toes can be tied shortly after birth where they simply fall off. Otherwise doctors advise having surgery to remove the extra digit before the crawling stage. Lacey’s is scheduled sometime in June. Either way, she is still a cute baby. Remember my request for hand-crafted dioramas as a Christmas gift this year? Well my friend Pammy was the only one to follow through. 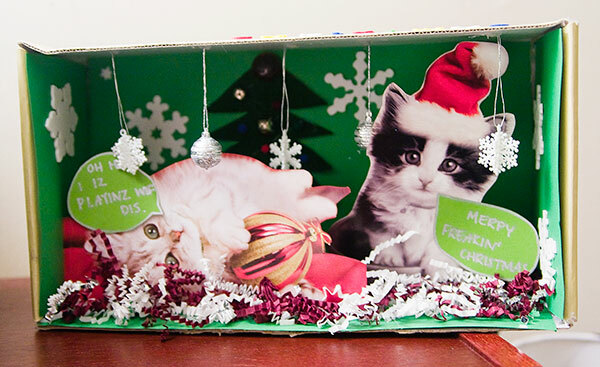 She constructed this awesome LOLcat Christmas diorama. The cats came from post cards and the rest was made by Pammy herself. This will remain on display for years to come. Kristina was also in the crafting mood for my Christmas gift. When she was browsing through the Paper Source store one day she stumbled upon robot wrapping paper (and Kristina knows how much I love robots). 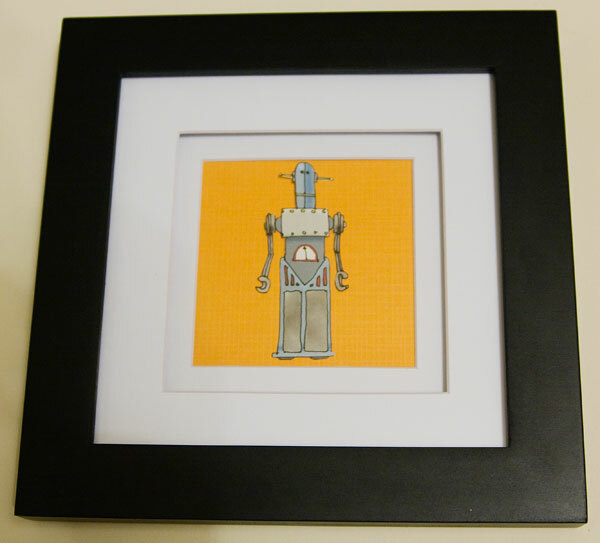 She carefully cut out three of the robots, glued them to colorful paper, and framed them in stylish square frames. They now hang above our closet. With all of the talk about how bad the economy was during this holiday season it was nice to receive a few handcrafted gifts. They were better than anything that could have been bought in a store. Plus, the gift-givers noted how much fun they were too make! Is this Pixar’s next movie? Nope, this is the 2006 demo reel of a fellow Art Institute classmate of mine. Billy Woodward and I graduated at the same time in September of 2006. 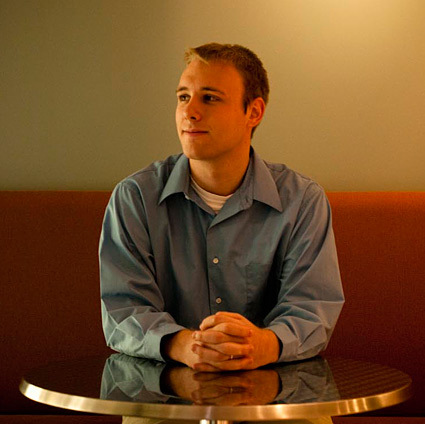 During our graduation screening, Billy’s demo reel blew everyone away. 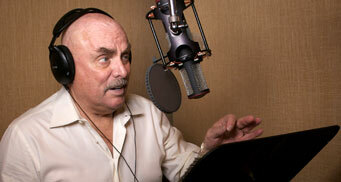 And even if you ignored his 3d animation or his storytelling abilities, the fact that he got the “Voice Over King”, Don LaFontaine, to do a custom voice over for his demo reel shows just how far he would go to make his vision as compelling as possible. Watching this short trailer made you feel like you were actually in a theater waiting for the feature presentation to start. It was easily the best showing of the night leaving everyone wanting more. I was going to write up this post at some point in the future but when I heard Don died yesterday from complications of a collapsed lung at age 68, I immediately thought of Billy’s demo reel. The fact that he would take the time out of his busy voice-over schedule to help a graduating art student spruce up his demo reel shows just what a great guy Don was. He will be truly missed and movie trailers just won’t be the same without that booming, authoritative voice we’ve grown familiar with. It started storming here at Bethany Beach. Lighting would light up the sky like it was day time and the rain was coming down hard. At first I thought the thunder was fireworks over the nearby beach. 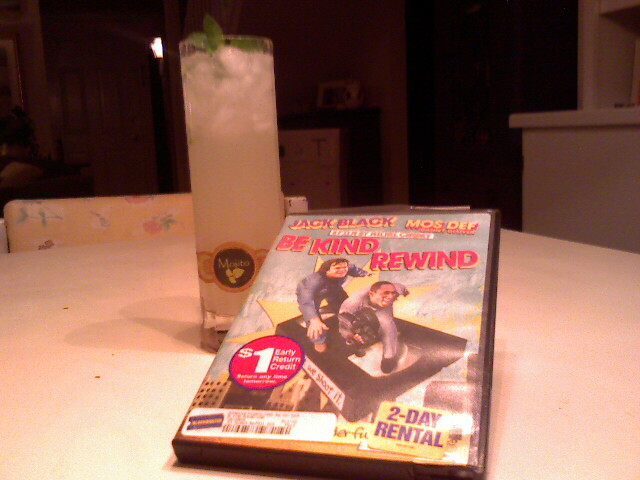 Since we didn’t have any firework plans Kristina and I and our friend Katie made Mojitos and rented “Be Kind Rewind” starring Jack Black and Mos Def. 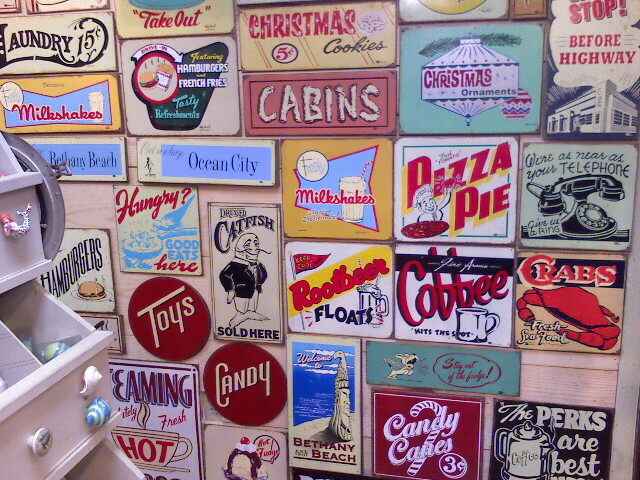 Kristina and I stopped into a store on Central Avenue in Bethany that sold vintage signs and other weird stuff. 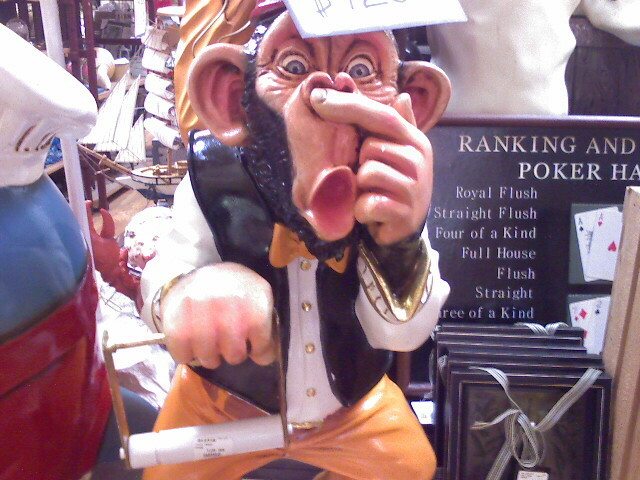 The sculpture of the monkey holding it’s nose is a toilet paper holder and costs $120. A group of friends and I made our way to the Crab Bag on 130th street in Ocean City. 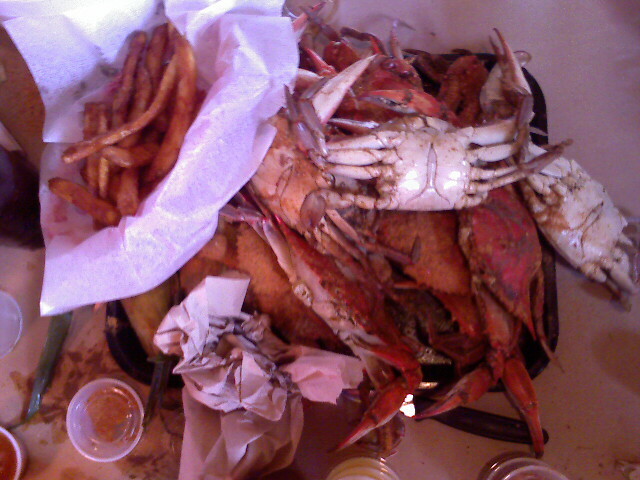 Most everyone got the all-you-can-eat crabs, corn, hush puppies, and fries for $24.99. I don’t eat seafod so I got a cheeseburger and a diet coke. 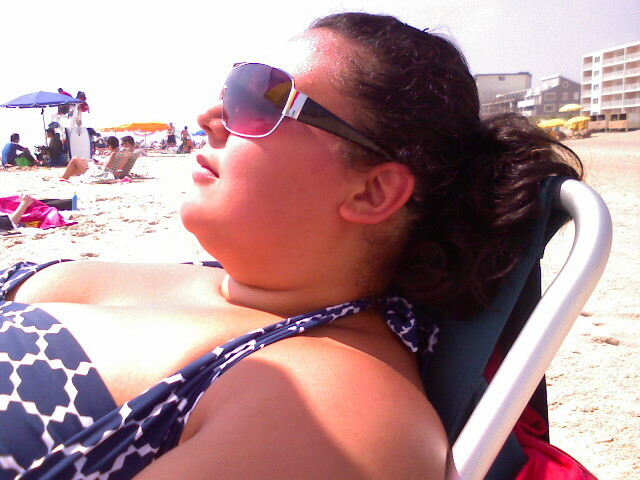 It’s our first day in Ocean City and we made our way to the beach at 139th street. It’s not that crowded on this Tuesday morning and there is a refreshing breeze in the air.